Celebrate the rich tastes, smells and variations of tamales from the Southwest and Mexico at the 14th Annual Tucson Tamal & Heritage Festival, held every year on the first Saturday of December at Casino Del Sol’s AVA Amphitheater. Enjoy live local entertainment including Tejano acts, Folklorico groups, Aztec dancers and Mariachis this Saturday, Dec. 1 from 10 a.m. to 5 p.m. Indulge in tamales, fry bread, tacos, burritos, BBQ, kettle corn and aguas frescas during this free event. 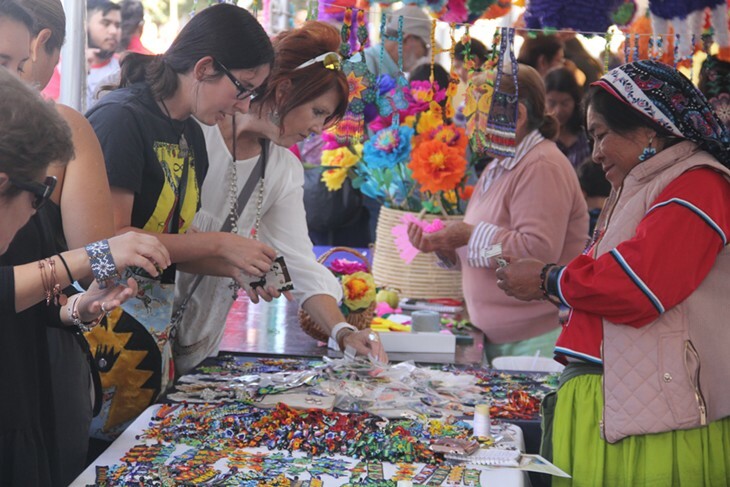 Shop for unique gifts from artisan vendors selling beadwork, jewelry, blankets, artwork, paintings, and woodwork; and farmers market vendors with jams, hats, soaps, shirts, chiles and more. The event will be fun for the whole family, complete with a visit from Santa. There will, of course, be a tamale contest! 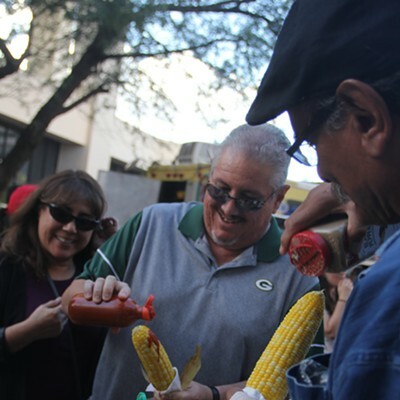 The contest is judged by casino management and local celebrities in four categories: Traditional red, traditional corn, gourmet and sweet. Cash prizes from $150 to $500 are given for first, second and third place in each category, with the top prize of $750 going to the best all-around tamale winner. AVA Amphitheater is located at 5655 W. Valencia Road. Find more info here. Janos Wilder, the James Beard Award-winning head chef at DOWNTOWN Kitchen + Cocktails, will host a special tasting event from 5 to 7 p.m. on Thursday, Dec. 6 at Carriage House, downtown. The event will feature flavors from three sister cities of gastronomy including Florianopolis, Brazil, Macao, China and Phuket, Thailand. Devon Sanner from The Carriage House and Travis Peters from The Parish will also be in the kitchen at the event. Each of the three chefs will prepare meals inspired by one of the three cities. Tucson earned a designation as a UNESCO City of Gastronomy in 2015, making it the first and only World City of Gastronomy in the United States. Tucson was chosen because of our 4000-year history of continually cultivated agriculture, the longest in North America. Tickets for the event are $40 per person. The proceeds will go to support the Tucson City of Gastronomy Traveling Chef Exchange Program that will help fund chefs from other cities of gastronomy to travel to Tucson and learn our food history while sharing their own. Last year Wilder, Peters and Sanner traveled abroad to different cities of gastronomy and they’re now looking to return the hospitality. Find out more about the dinner here. Visit Villa Peru Restaurant for the Ceviche Festival on Friday and Saturday. Ceviche is not something many desert-dwellers eat very often, but one local restaurant is working to mix that up. Villa Peru Restaurant will be hosting its bi-annual Ceviche Festival this weekend that will be offering 12 different types of traditional Peruvian ceviche dishes! The various Peruvian ceviche dishes will be made to order, combining the freshest seasonal catch, cured with a leche de tigre citrus-based marinade of lime and ají peppers. Different ceviche dishes will include mahi mahi fish, shrimp, octopus, scallops, black shell clams and mushrooms. Enjoy live music during night-time hours including a guitarist and harp player, while enjoying tasty seafood dishes. So how does it work? The festival is free to get in and each of the different ceviche dishes are individually priced. It is definitely worth it to head over to the festival as many of the ceviches are not on the restaurant's regular menu, meaning this weekend is your only chance to taste them! The festival will be on Friday, Nov. 16 and Saturday, Nov. 17 from 11 a.m. to 10 p.m. Villa Peru Restaurant is located on 1745 E River Road. Save the date and make a reservation with Villa Peruvian Restaurant by calling (520) 900- 7310 or through the online reservations website. Gear Up for Gelato Fest! Tuscany's Gelato Festival returns to America by visiting seven different cities including Tucson on Saturday, Oct. 27 from 12 to 8 p.m. and Sunday, Oct. 28 from 12 to 7p.m. So far, the Festival has toured six different cities around the country including Jersey City in New Jersey, Chicago, Washington D.C., Dallas, Santa Barbara and Scottsdale. 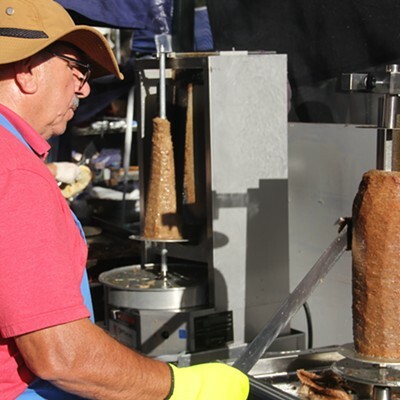 As part of the festival, the gelato chefs will have gone through a selection process for the competition. The winners in the festival will compete again for the three best American gelato chefs and will be part of the top 36 gelato chefs in the world. In the 2017 Gelato Festival, there were nearly 40,000 visitors and 50 gelato makers. The chefs competed and showcased their gelato flavors to produce over 13,000 pounds of gelato. Some events at this year's gelato festival feature the Gelato School, where award-winning gelato artisans will share information about being a gelato chef. There will also be a Gelato Eating Contest, where five people will eat five cups of gelato and the fastest will win a gallon of gelato. 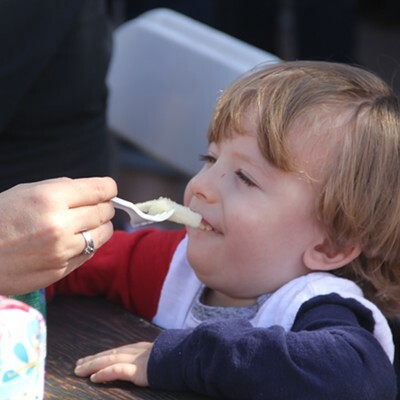 For kids, there will be a Kid's Jury, where kids will have the opportunity to ask the chefs questions and vote on their favorite flavors. Danielle Palazzoni, the General Manager of the Gelato Festival America, said that the festival had a huge success all over Europe and in its first festival held in America last year. "We realize that Americans really do love gelato," Palazzoni said. "It is our goal to make certain that every American gets to taste what real Italian gelato is like and to spread the culture of artisan Italian gelato throughout the world's largest consumer market for frozen desserts." Tickets for the festival will be sold at $30 for adults, $25 for seniors (65+), $25 for children (3 to 12 years old) and free for children under two years old. Purchase tickets online in advance to receive a discounted price. 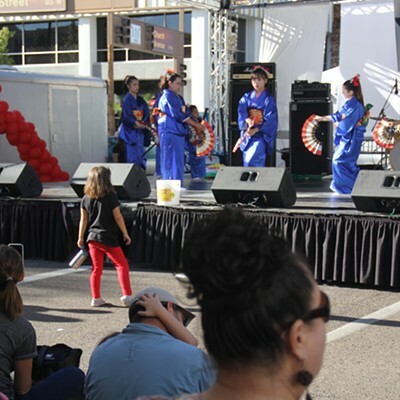 Showcasing all of the diverse cultures and customs that dwell within our beloved town, the Tucson Meet Yourself Festival has done it again! 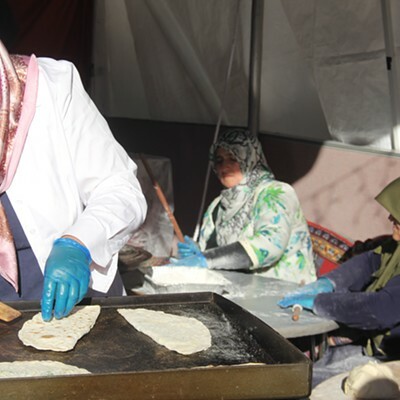 Affectionately coined, "Tucson EAT yourself," the festival presents a unique opportunity to have nachos and pad tai, tacos and dumplings, fry bread and curry all in one sitting. 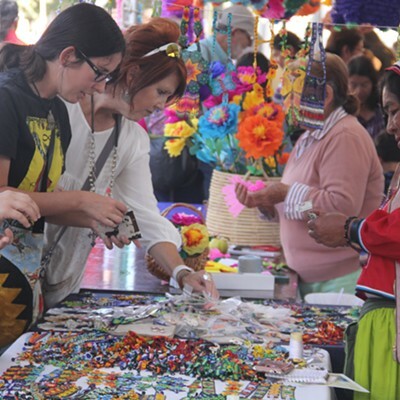 "Tucson Meet Yourself is a folklife festival. 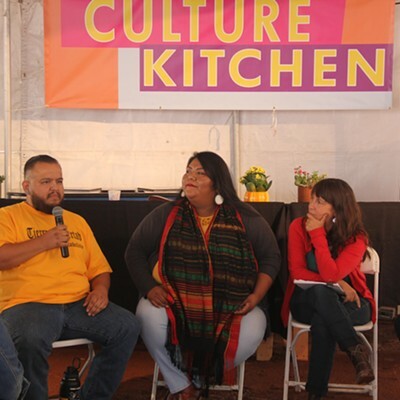 We focus on presenting artists and communities that carry on living traditions rooted in a group’s own definition of identity, artistry, and cultural significance," according the TMY's mission. 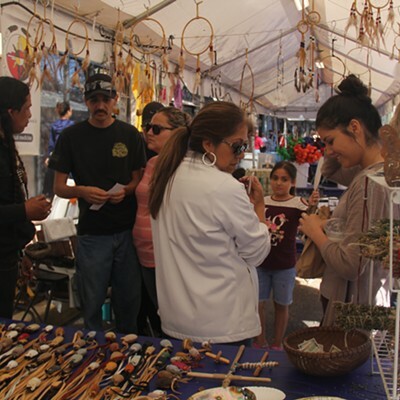 Culturally based arts and crafts galore, performances from an array of artists and talks and tabling from various organizations are also a part of the heart of the festival. 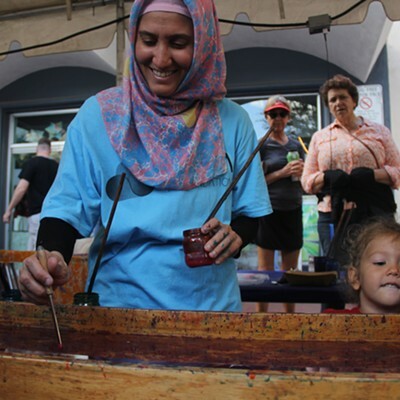 Tucson Meet yourself just celebrated its 45th festival, and from us at the Tucson Weekly, thank you to all the volunteers that came together and make this weekend a success, even with all the rain!